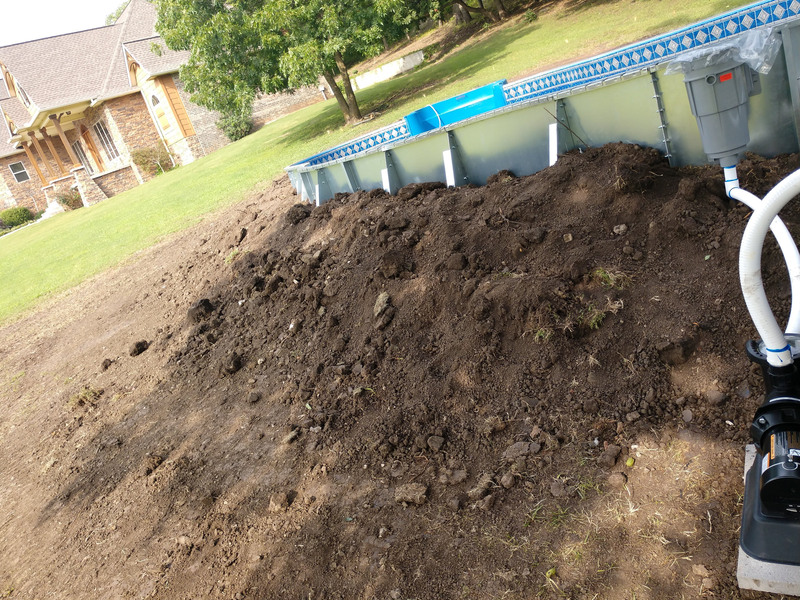 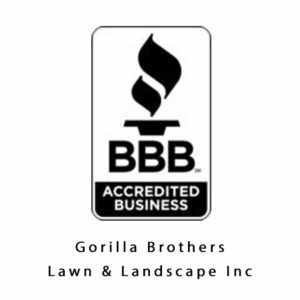 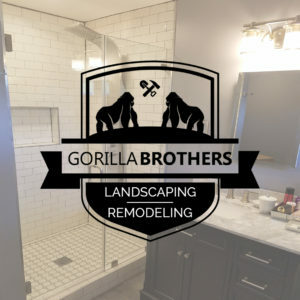 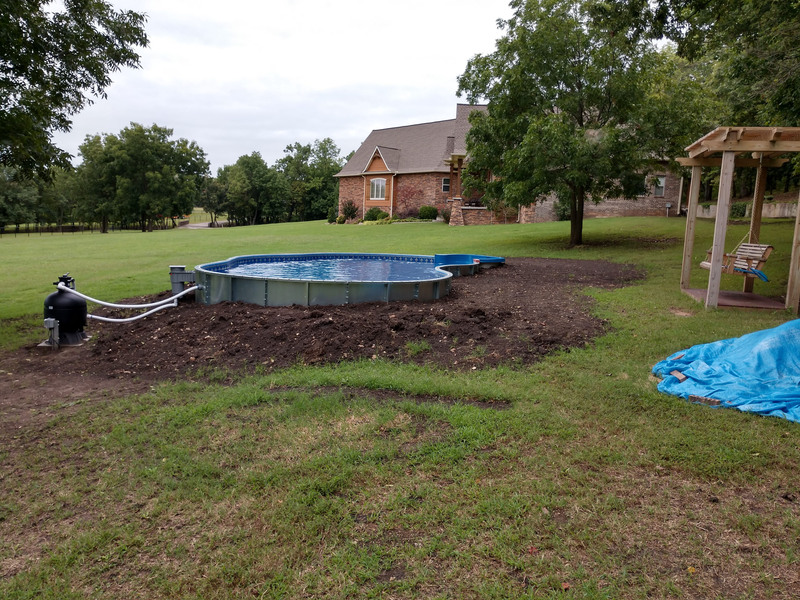 Before: The clients new swimming pool needed a little TLC and a lot of hardscaping. 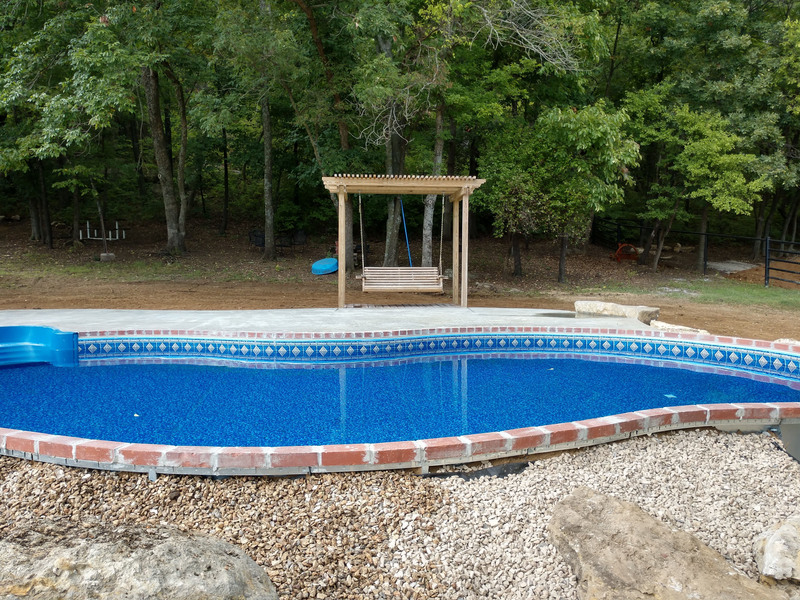 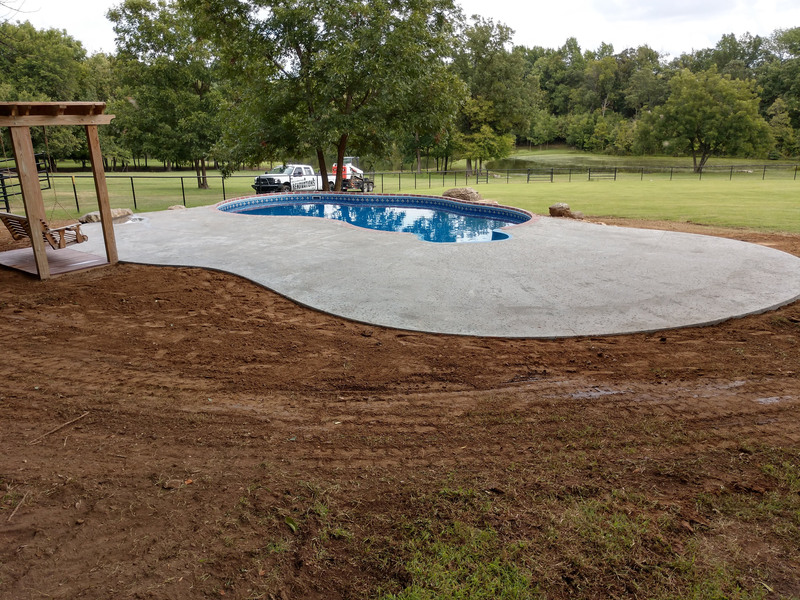 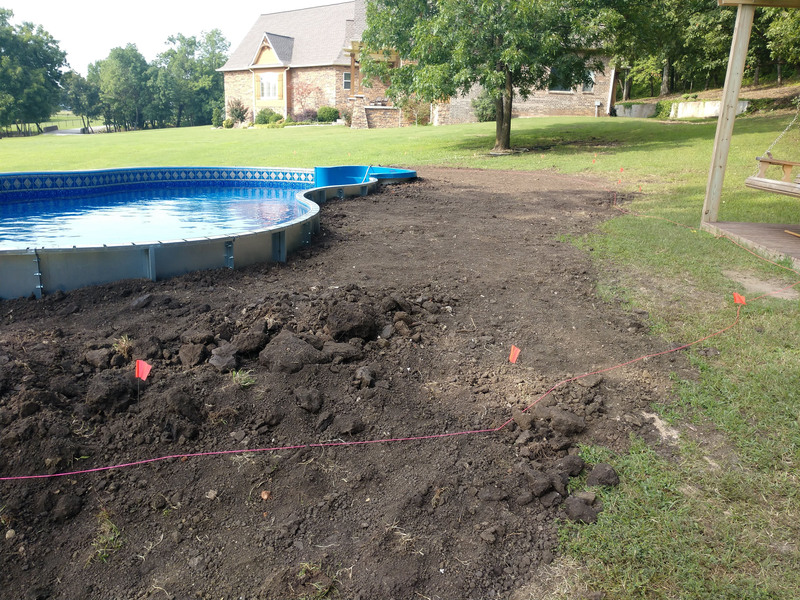 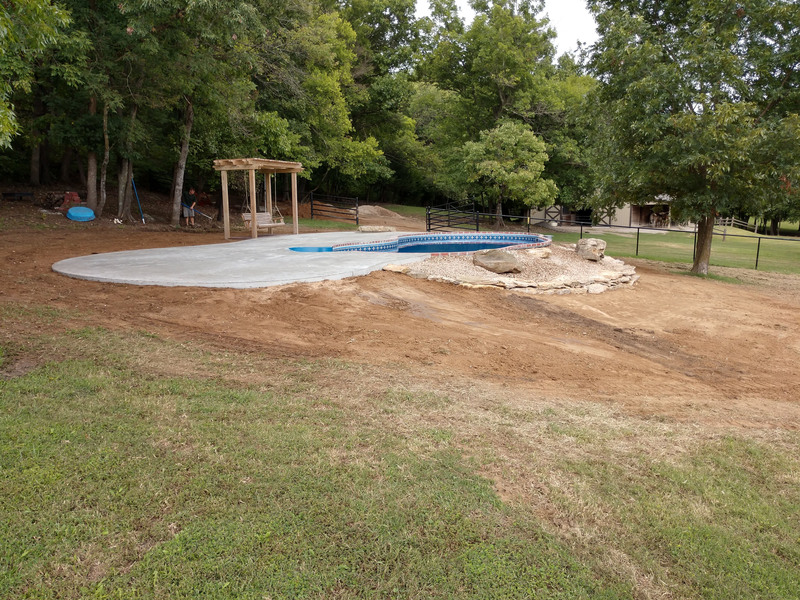 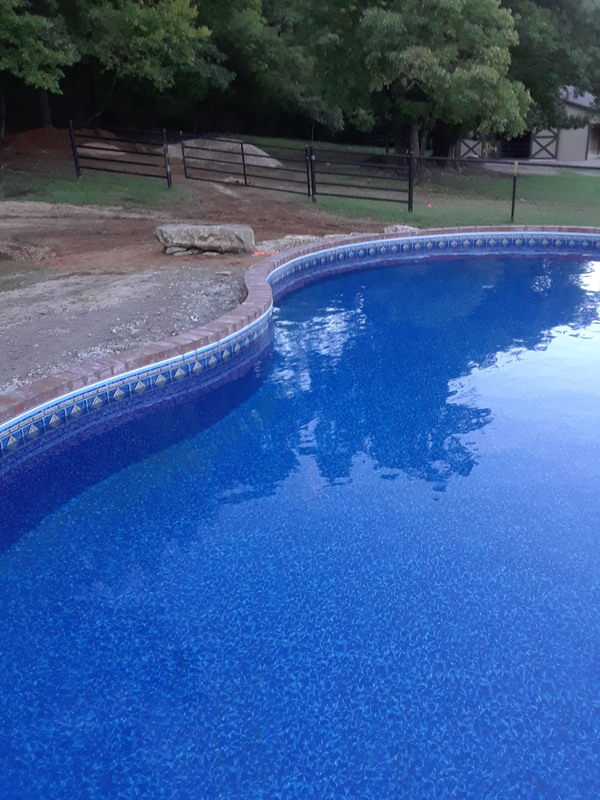 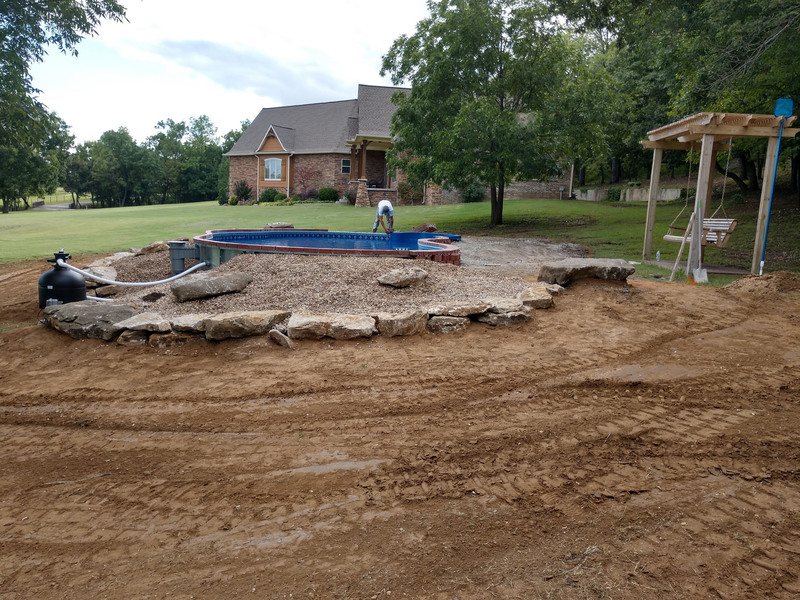 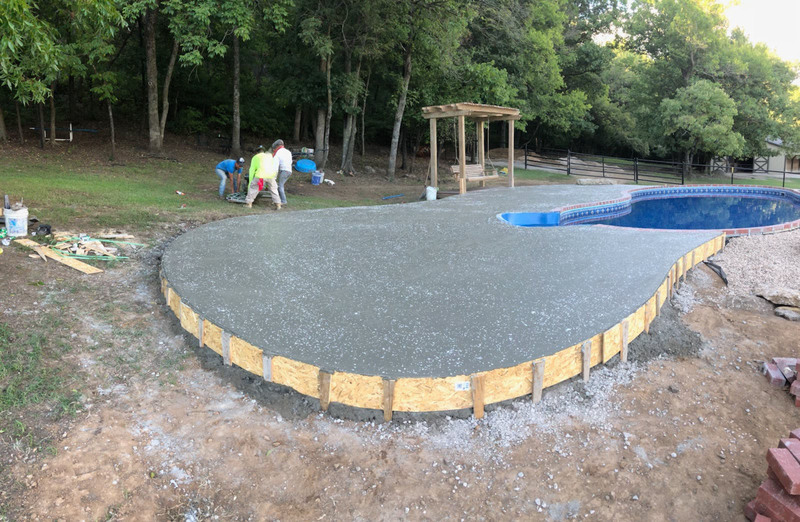 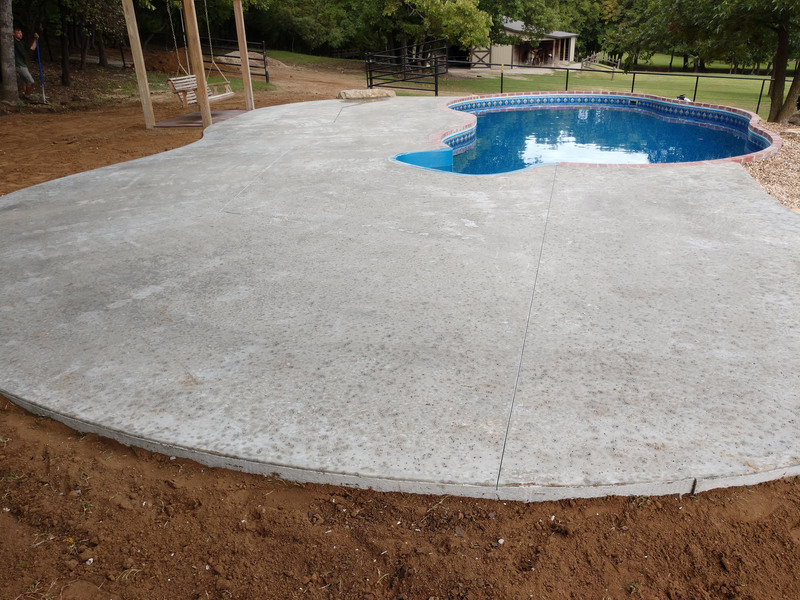 After: Loads of dirt, rock, and concrete later and this pool is ready for relaxing! 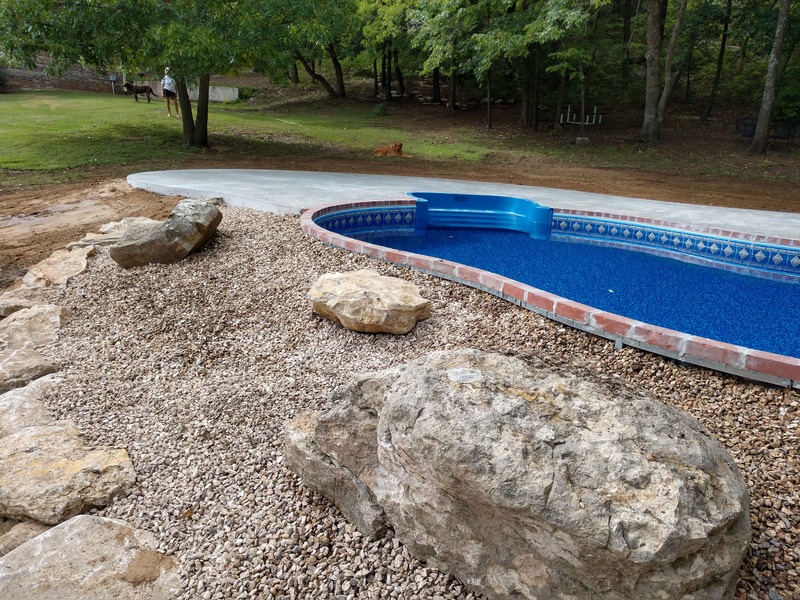 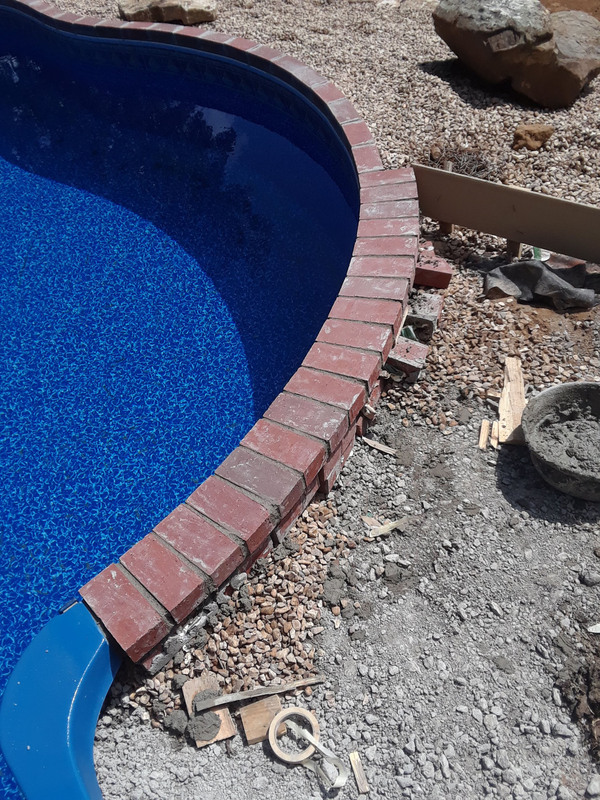 A new brick border and large concrete pad elevate the look of this pool while the rock adds an additional wow factor.